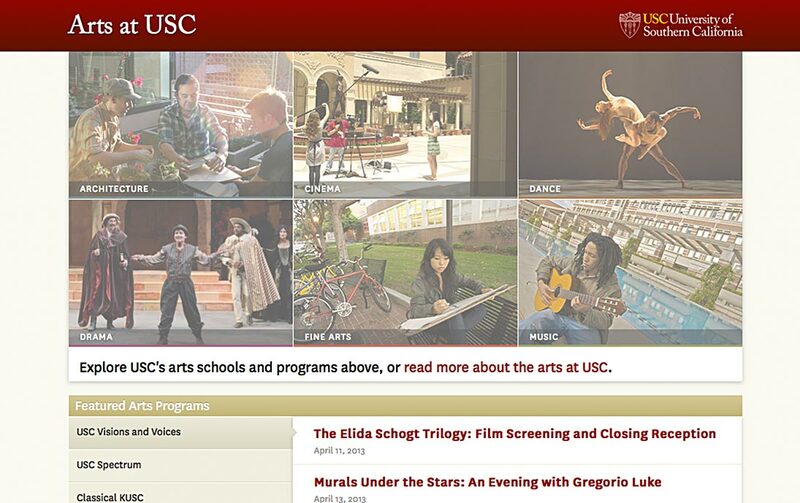 Created as a gateway for all USC Schools of the Arts. The main feature, which showcases each of the six schools, is built using CSS3 and a bit of jquery. 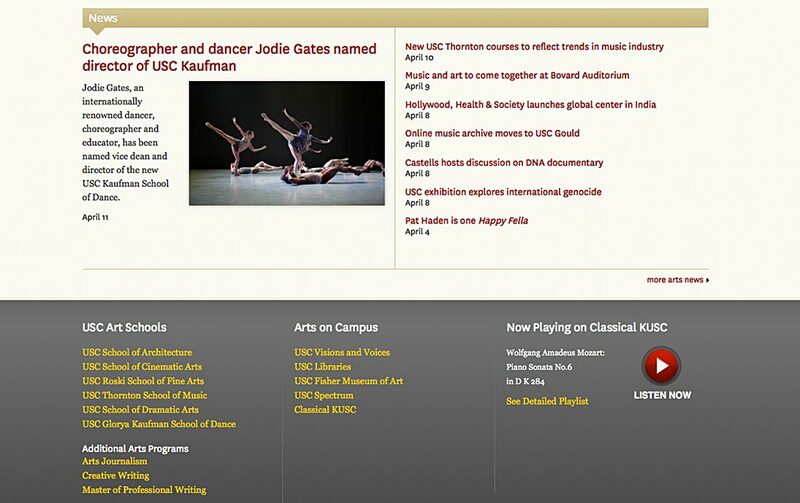 It also utilizes the USC custom news and event API.